This category is currently small but it’s high on Anna Danielle’s “to do” list to create new designs to give you more choice when finding the right words is proving elusive. 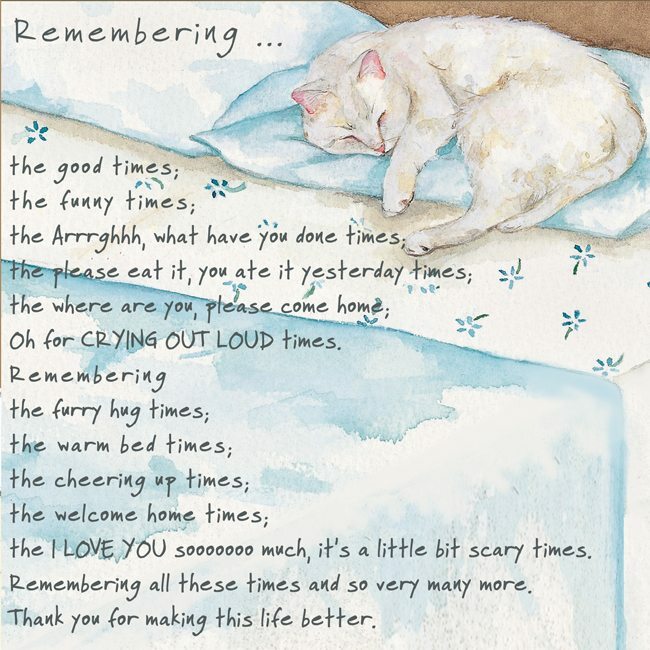 Cat Condolence greeting card – Remember Cat. Remembering...... The good times; the funny times; the Arrrghhh, what have you done times; the where are you, please come home, oh for CRYING OUT LOUD times. Remembering the furry hug times, the warm bed times, the cheering up times, the welcome home times, the I LOVE YOU soooooooo much, it's a little bit scary times. Remembering all these times and so very many more. Thank you for making this life better. Remembering..... the good times; the funny times; the Don't eat THAT! times; the leave it, leave it, LEAVE IT, Oh for CRYING OUT LOUD times. 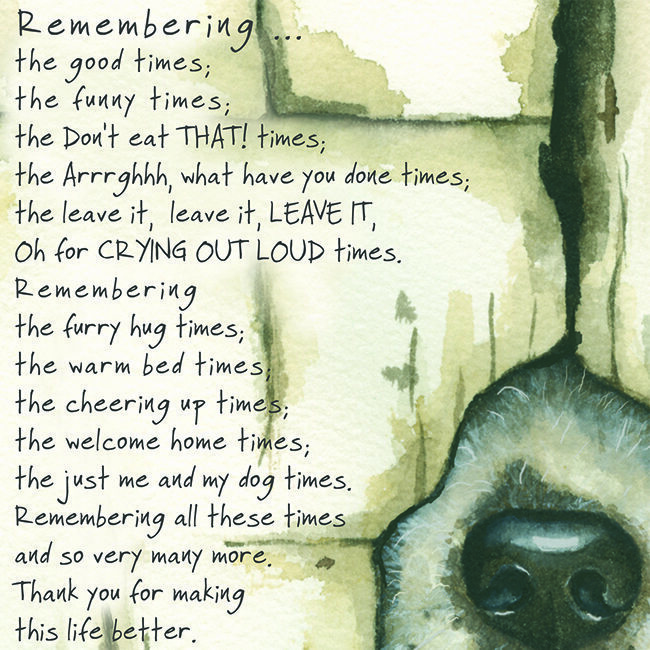 Remembering the furry hug times, the warm bed times, the cheering up times; the welcome home times; the just me and my dog times and so very many more. Thank you for making this life better.